Home » News & Blogs » Maturity Tales » Is the social responsibility of business to increase its profits? This question has been a thorn in the side of capitalism ever since the corporation was invented; and one to which the Nobel prize-winning economist, Milton Friedman, set out a definitive answer in his seminal article of 1970[i]. Whether you dismiss the question as a red herring, or as part of a socialist conspiracy (as Friedman suggested); as we witness more evidence of corporate misdeeds and ineffective governance the pain from this particular thorn is now more insistent than ever. Governments around the world need a more coherent and emphatic resolution if they are to find the basis for a whole system solution. Equally, Boards and their Executive committees must openly acknowledge the fullest extent of their responsibilities, and accountabilities, to the societies they serve. Friedman was unequivocal in his view that the sole responsibility of business is to make a profit; at a time when communism and socialism were still an economic and political reality in many parts of the world. So his argument attracted weighty adherents in political leaders such as Ronald Reagan and Margaret Thatcher. Whether he intended to or not (I would suggest not) he also provided exactly the sort of justification that would be seized on by avaricious shareholders and venal executives to provide a ‘moral’ basis for lining their own pockets. Yet recent history suggests something must have been wrong with his analysis. If we pinpoint the flaws in his logic, while offering a more coherent paradigm, we can prescribe a much higher value solution founded on the best values: one that will reinvigorate a more moral and ethical form of capitalism that is in the interests of all, rather than the few. 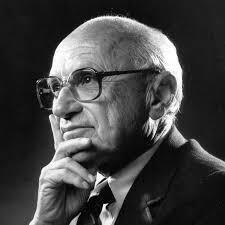 If Friedman were alive today he would be adamant in defending his theory as morally sound. It is based on the principles of freedom of individual choice within a free society. As such, it should be viewed as an idealistic rather than cynical view of human nature: it attempts to balance the whole of mankind’s needs with our tendency towards self-interest. In his model, the level of a company’s profits are, in effect, a measure of the combined social conscience of its board and executives. What he failed to mention though, or factor into his equations, was that crucial word – ‘value’. Nevertheless, such was the power of his argument that it may well have contributed to the unhelpful myth[ii] that American CEOs are under a legal obligation to maximize profits. In fact, they are under an obligation to maximize value; or at least to ensure that if they sell a company they do so at the highest possible value. You might think there is no worthwhile distinction to be made between these two simple words – ‘profit’ and ‘value’ – but actually they represent entirely different business paradigms. One is focused on the company itself, the other is focused on satisfying societal needs. Pinning ‘value’ down has taxed some of the greatest minds that ever lived and is not an easy debate to follow. 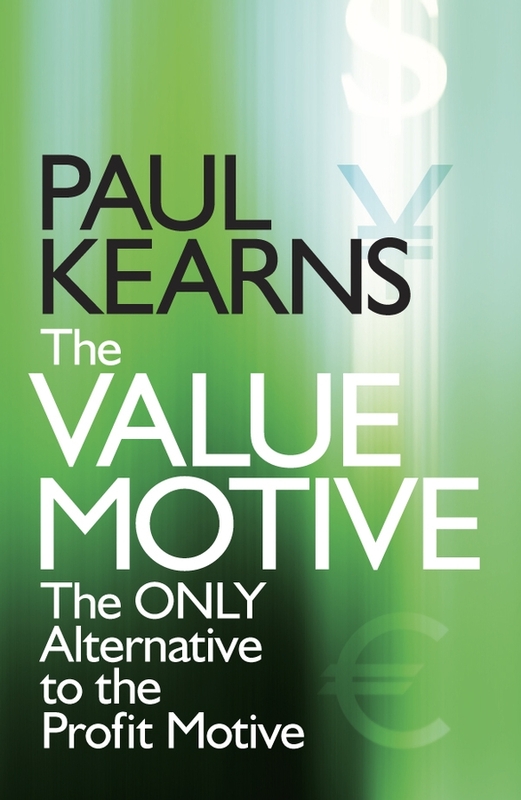 The conventional economist’s definition of value refers to ‘economic value’; defined as what someone is prepared to pay for what value they perceive. However, a socially legitimate business operation can only be defined by having a clear an unequivocal purpose of serving society’s best interests; with a CEO who takes full responsibility for how that goal is achieved. The same applies to governments, legislators and regulators. Recently, the UK government’s report, into the possibility of expanding London’s Heathrow airport, recommended a third runway on primarily “economic” grounds, as though the other factors (environmental damage, demolishing homes etc.) hardly mattered. If anything has changed since Friedman’s time it is the recognition that many other things do matter and profit is a very poor proxy for societal value. Friedman’s failure to use value as his criterion should have been his undoing. It is the undoing of any CEO today who has any pretensions to responsibility and yet hides behind profit, earnings per share or any other measure that might be impressive but says nothing about their maximization of the business’s potential. One lesson we have all learned since Enron (et al) is that profit performance often hides underlying underperformance and, more importantly, the hidden symptoms of degeneration in corporate governance. The debate today still seems to hinge around a conflict between two, apparently opposing, constructs of social responsibility and profit. So we either have to admit that there is indeed a conflict or, alternatively, regard this as a false dichotomy and ensure both are mutually inclusive rather than exclusive. Businesses do not, and cannot, exist in a vacuum: they are populated by people who all have to reconcile their company’s profitability with their own values. This includes those executives who feel shareholder pressure weighs heavily against their natural inclinations to do good and help their fellow man. These same executives will also adopt multiple perspectives themselves as shareholders, customers, ordinary citizens and parents: all of which are vying for mankind’s innate need for coherence. Every single one of us has to cope with these apparent conflicts in our daily lives. The pilot who wants Heathrow to build an additional runway will readily accept that their own living comes at the expense of someone else’s quality of life. The democratic process is the only way we have found to resolve these in-built contradictions, albeit imperfectly, to plot an acceptable course for the ‘greater good’. Friedman was obviously supremely clever; clever enough to realize that these few words would get him off the hook in the face of any accusation that he was promoting immoral or unethical business practices. His words are classical, economic theory that would only be uttered by a professional, academic economist. Apart from making a profit, all CEOs today face a much wider range of challenges including environmentalism, diversity, global competition and tighter regulation. CEOs of banks, especially over the last two decades, were allowed to make up their own rules with the tacit approval (incompetence or negligence?) of governments, legislators and regulators. With the benefit of hindsight, Friedman would have invoked his own caveats and probably declared that all bets were off for anyone hoping to see the banks behaving responsibly. As a direct consequence of failing to measure the Total Stakeholder Value (TSV) of the banks, we are all still having to live with the long-term consequences. The capitalist system is not just comprised of CEOs and regulators though; it is every single one of us. The Greek pensioners, who had to queue up to get enough cash to live on, are all players in their own game. The employees of the banks, that hold our money, allowed themselves to behave in a way that was dictated by their masters; irrespective of whether their social consciences dictated otherwise. We have no choice but to co-exist in the whole global system and our daily behaviours will shape that system. Trying to blame others is hypocritical but we should design the system to allow those with integrity and courage to raise the alarm, when necessary. We all have to reach agreement on the main purpose of the system, which is the maximisation of value, not profit. Profit will always play a crucial part in the system; but it is only a part, it is not its purpose. So this is not a call for another form of socialism; it is what capitalism should always have been. The system cannot maximise value unless everyone in it is actively encouraged and managed to contribute as much value as their natural talents allow. If Friedman had expressed his own question in these terms, then his prescription would have been correct and profits and value would both be integrated with the full force of intrinsic, moral legitimacy. So what is the particular prescription of the Maturity Institute? It is very simple. Societal value is the only legitimate purpose for any organization; whether the organization is expressed as ‘for profit’ or not. MI defines value as the provision of the best possible quality product or service at the best possible cost (and demands that environmental and other externalities are openly acknowledged and fully factored in). Moreover, we demand that each and every organization is able to demonstrate that every single person involved with the organization is not only behind that purpose but encouraged and enabled to use the best of their talents, abilities and efforts towards that end. That is what TSV measures. Friedman’s vision of ‘responsible profit’ does not conflict with societal value but he expressed it in a way that almost encouraged misinterpretation. For example, Microsoft’s super-profits have been generated, primarily, by abusing its virtual monopoly and reinforcing that bad behaviour among its workforce with a dictatorial, bullying management style that placed profit maximization above everything else. Yet those same ingredients, paradoxically, actually prevented Microsoft from maximising its profits and societal value by inhibiting and perverting natural, human behaviours and limiting the realisation of human potential and innovation. Society also lost out by Microsoft not playing by Friedman’s rules; having an explicit strategy to use its dominant market position to force better competitors out of business. Regulators eventually fined Microsoft for its bad behaviour but lawyers and fines do nothing to resolve the problems of value destruction and poor corporate culture. This is the legacy that Microsoft’s current CEO, Satya Nadella, may well have helped to create but now he is having to repair the damage. But how can a CEO change a culture that was spawned by a rapacious purpose; without completely changing the purpose of the organization itself? Friedman’s theoretical model, even with its provisos, assumed away the predictable behaviour of real human beings. Executives and shareholders who have primarily selfish interests cannot maximize value for anyone, including themselves, because there is little incentive for everyone else in the whole system. Management pressure and coercion, in pursuit of a goal which is not in everyone’s interest, is bound to be self-defeating. As a result, the irresponsible behaviour patterns that become the norm are not easily eradicated. Meanwhile, any attempt to over-regulate, or deregulate, is usually a knee-jerk reaction to poor governance and mistrust and the existence of conflicting interpretations of ‘profit’ and ‘value’ provide fertile soil for both. This is a vicious circle. The resulting legal costs and fines meted out to the banks (and other corporations who flout the rules) may nominally be borne by the culprits but we all end up paying the final bill when profit is the only responsibility of business. This entry was posted in Maturity Tales and tagged Milton Friedman, profit, social responsibility, the social responsibility of business is to increase its profits. Bookmark the permalink.